My desk is not a mess today – how refreshing! But if you want to see shots of chaos, WOYWW is a really good bet! Sometimes there is huge amounts of inspiration on those messy desks. The last couple of days I’ve had posts about my 2012 calendar making. I’ve gone in a different direction for the one I am working on today and I thought it might be of interest, rather than show just a shot of my desk, to show what I am doing and the goal. 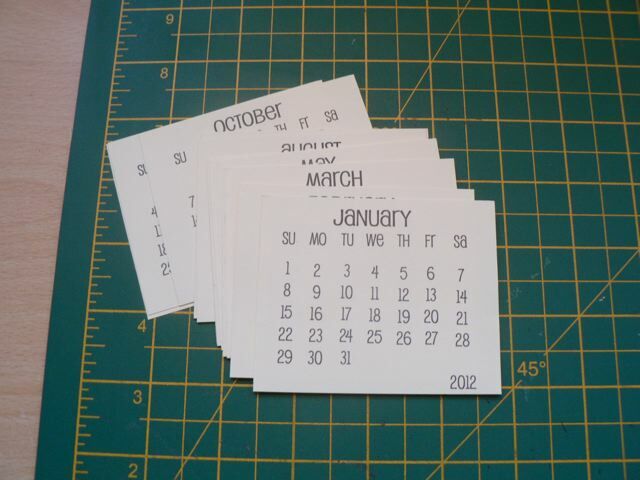 I printed my calendar PDFs and sliced them into month blocks. This highlighted a problem I will hope to correct – because September and December have 5 weeks, those blocks are just that little bit too big, so too close to the surrounding ones to cut to the same size as the 4-week months. 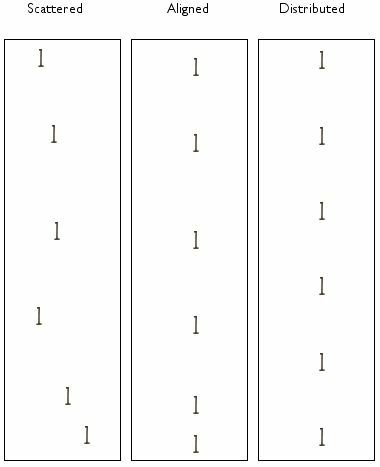 I’ll have to re-do the PDFs for you, perhaps with thin pale lines or a grid, so you can see how to cut them easily. But on to the project. To repeat, I sliced up the months into uniform (more or less) blocks. Using one of my handy dandy tools (simple clothes pegs) I clamped them together in a stack. Because of the size issues I mentioned, a couple of them were a bit longer, but that isn’t a huge issue. What’s important is that the top edge is perfectly aligned. Get a little dab of glue and a popsicle stick. Carefully and neatly smear a line of glue JUST on the top edge. Not too thin, not too thick, not onto the front face, less of an issue if you get a bit on the back. Let this dry overnight. 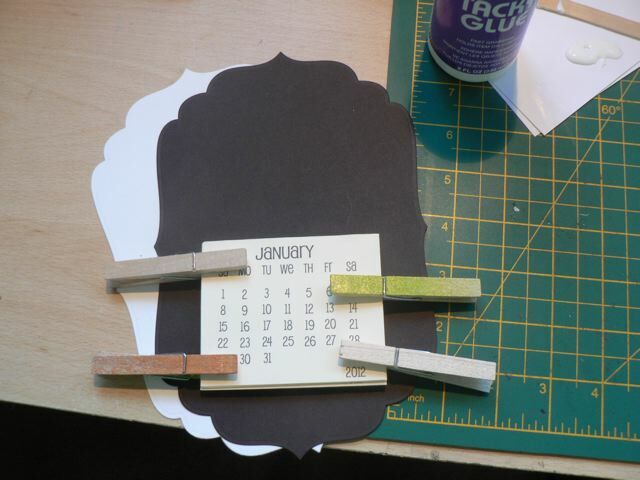 Once the glue is dry, you will have a neat little tear-off calendar pad, and a much nicer one that the little ones you can buy. This can then be used in a number of ways. I’m going to stick it to a Nestie cut shape, covering a piece of thin chipboard, and add a magnet to the back. The extra space on the Nestie base can be decorated prettily or have a photo added. My fridge is not clad, so the magnet will allow the calendar to stick to it. 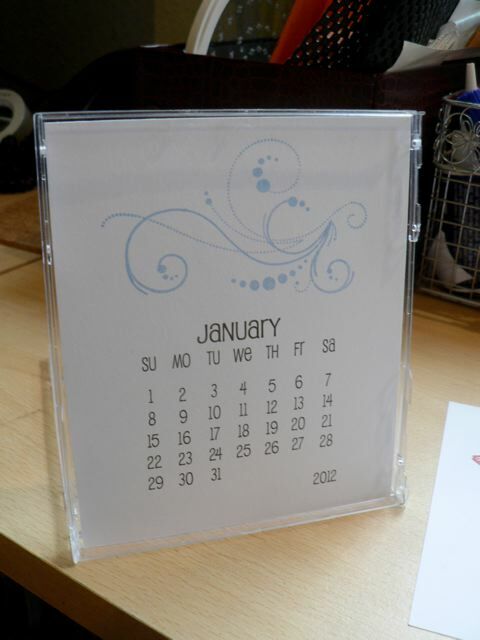 But you could easily add a wedge to the back and turn it into a free-standing calendar, or cut two, trim the bottom edges flat, put a brad or an eyelet or just stick the top edges together (or even cut the Nestie shape from a folded piece of cardstock) and make it like a top-fold card, so it stands up that way. Lots of possibilities! Categories: calendars, WOYWW | Tags: WOYWW | Permalink. After spending the morning at DDs Harvest Festival, I’ve been dithering about whether or not these are useful to make available, and how best to do so. In the end I decided I might as well, and to do them as a PDF. Don’t grab the above image! It’s poor quality, only there to show you what the PDFs look like to help you decide if you want it. 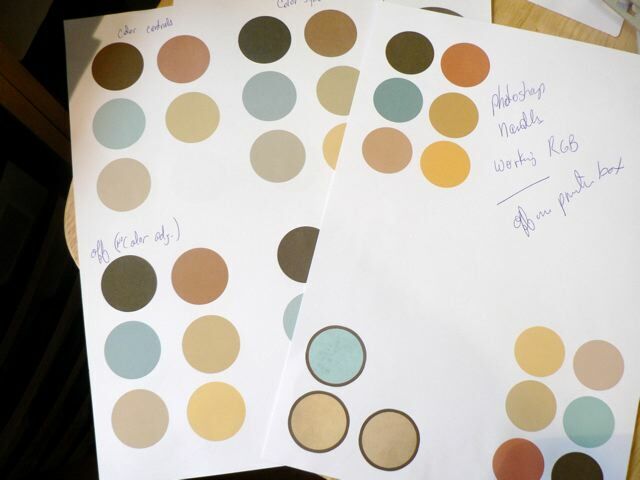 I chose this method so you can print them, then cut out the calendar months and stick them onto any sort of sheet size that fits your needs. 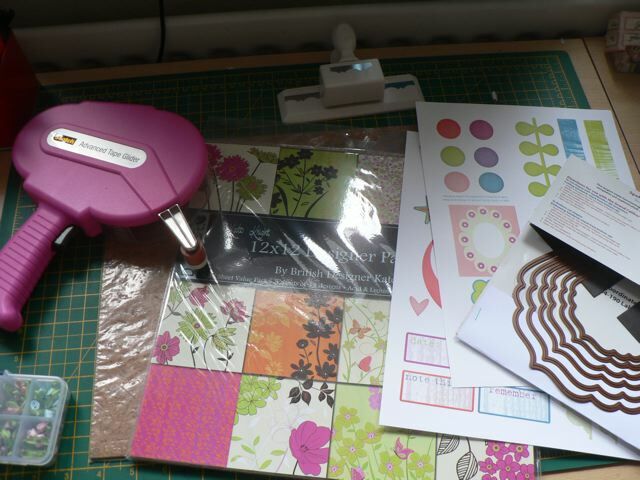 Or you could mark and move the months on to another sheet (two to a sheet) and print them then trim them to size. That seems better than doing them as multiple sheets to just print. I designed them to be used with a standard CD case as a stand. Hopefully they will be useful for someone. I have to say I am loving how the calendar looks, so stark and simple, with just the different stamped swirls at the top of each month, but I may do something a little different as an experiment. So, grab January to June here and July to December here. It’s that time of year, when I start thinking about making a calendar for next year. Prompted by a post on UKScrappers, I went looking. 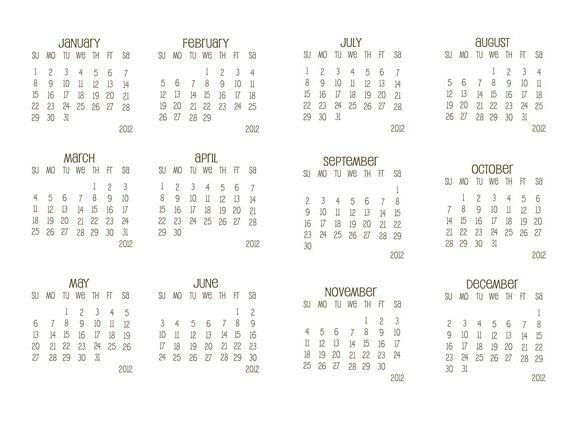 There are a lot calendar grids out there that you can print but they either use a font I’m not crazy about or have grid lines, which isn’t what I’m looking for. 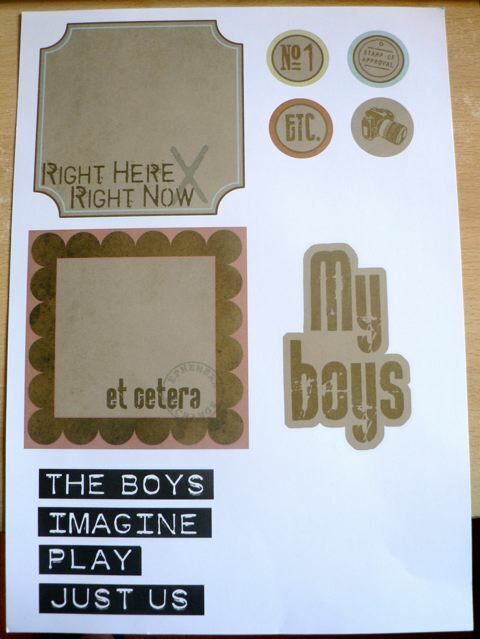 There are also lots of digital scrapbooking versions or ones that are designed with the decorative elements included. Pretty though they may be, I always fancy my version and bringing my style to my calendar each year. I decided to have a bash at making my own. I had a look, and found a 2012 calendar. as I looked at it there were a few things that I noticed. Firstly, it’s a leap year. So things will be slightly different for most other years. But one thing will always remain the same: there will only be seven vertical strips of numbers. Next, for every year, every month, 1 will be followed by 8, followed by 15, followed by 22 followed by 29. And 2 will be followed by 9, by 16, by 23, by 30. The DAY which each of those dates fall will vary, so the first of the month can be any DAY, but the vertical strip will always be the same. I was thinking it would be a huge pain to create the grid for each month, but once I realize I really only needed 7 strips of numbers it became a whole lot easier – and faster! And even better, at least for this year, there are many months that duplicate (with the subtraction of a day or two) so once you create a month, you may only need to delete a day or two to get another month with virtually no effort at all. So I thought you might be interested in my workflow. Now, I’m sure there will be Photoshop gurus out there who have an easier way to do this (possibly with Snap to Grid but that would only align the left or the right edged of the text box, not line up along the center point) but this works for me and I thought it was pretty fast. 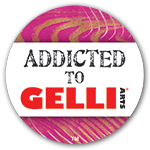 and lots of people will look at all that follows and go GAK! That is a lot of work! I’ll be happy to download one, thank you and that’s fine. I know this level of effort is totally not to everyone’s taste, but I enjoy the working-it-out bit. First pick a font, a size, and a colour and set this info in the first text box – every future text box will repeat the same info so you know all your numbers will be the same size and colour. The size fo the font will determine how big your month block will be so you may need to mess about with this to get it to just the right size for your project. Step two: duplicate the layer. You need a total of 7 layers, all identical in size. Loosely line these up vertically then select all the layers. Step four: With all 7 layers selected, and on the MOVE tool, click ALIGN >Horizontal center. This will line up all seven layers in a row thru the center point of the text box. Step five: With the layers all still selected, click DISTRIBUTE > Vertical center This will distribute all the text boxes evenly thru the center point of the text box. 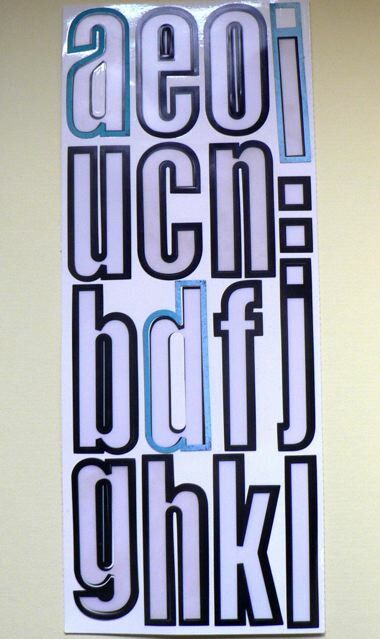 DO NOT merge these – you can use these strips year after year, simply changing the font. So you see you have a perfectly aligned grouping. In this case the text boxes are actually a little bigger than they need to be so you can see it clearly. You may need to experiment with this, depending on the final size you want your calendar to be. Step six: change the numbers so you have a perfectly aligned vertical strip for each of the “weeks”- I usually make each strip seven layers, leaving the text box with a O in it for the weeks with only 4 numbers. ALIGN and DISTRIBUTE are best used always with the same number of “cells.” I usually select the seven layers and duplicate all seven in a single step, then change the numbers, Align and Distribute. Now you need to do another set of 7 layers for the line of Days (ie Sunday, Monday, etc.) To keep the text boxes the same size I do the 2-letter abbreviations. Step seven: Once you have the seven days laid out, select all those layers. Align them BOTTOM or TOP Edge, as you prefer. The Distribute > Horizontal Center. This will give you a horizontal row of perfectly aligned and spaced day abbreviations. OK. So now you have all your strips, I would save this with a title like CALENDAR MASTER because this will be what you go back to every year. Right. Now you want to create each month of the year. Step one: Open a new file of the size you want your month. Center a text box for the month and type that. Step two: Select the day row and drag this into your new file – I’m assuming you can drag layers between open files on a PC? OMG! I hope so. If not get them from one file to another however you usually do that. This dragged selection will be grouped so you can move it in to place. Center it under the month name. Save this – call it something like Calendar Months. Step three: This is the cool bit. In your master file, you can align each vertical strip under the day abbreviation. Now you have a block of perfectly aligned and distributed info. Looking at an online calendar image for the year, you can now select JUST THE DATE blocks and drag them as a complete unit into your month file. 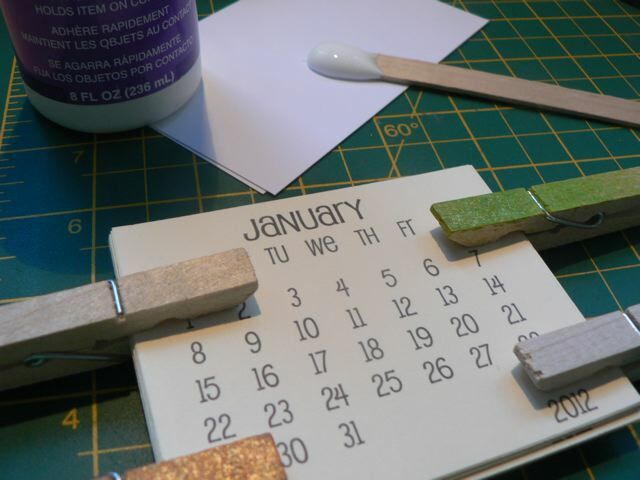 So January is easy for 2012 – the 1st is on a Sunday and it has all 31 days. Just drag the whole block over, center the dates under the day strip and delete any of the O cells. January is done. Save it, as something like January2012. Don’t close this, or merge it. Edit the Month to JULY and Save As July2012 – the months are identical. Now, edit this again, deleting the 31st, changing the month to April, and Save As April2012. You now have three months completed! For February, drag the strip block that includes the rows beginning with 1, 2, 3, and 4 and drag as a group and center under Wednesday Thursday Friday Saturday. Then select the rows 5, 6, and 7 and drag those as a block and center under Sunday Monday Tuesday, lined up so the numbers read correctly (ie 7 leads to 8, 14 to 15, etc. Because the layers are all aligned and distributed the lining up of just two blocks is going to be easy peasy. Here is the 2012 info in the order you want to do it, so you are only deleting, not adding. Save December. Delete 31, change title to September, Save As September. So with only four changes to the Calendar Month file, you have saved NINE months. You will now need to the the final few months and save them. 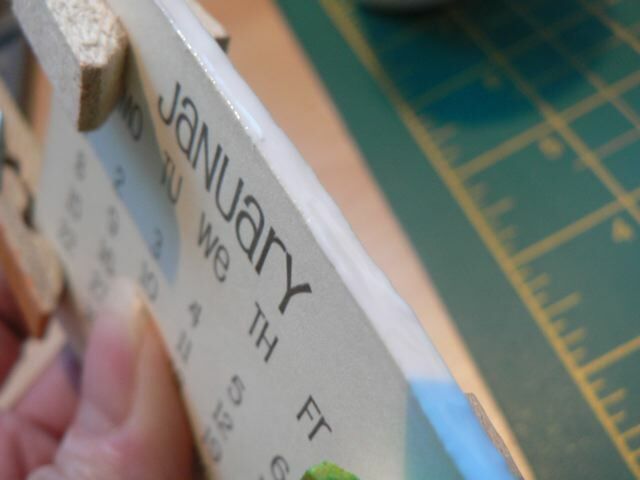 When you are done you will have three major bits – your CALENDAR MASTER. From now on in, you can simply change the font and colour and size, if you want, for each cell, keeping them in line and create a totally different calendar for any other year. I wish I could figure out how to change the font in a selection of layers all at the same time, but I need to have a play and see if that is even possible. If you think you will use the same font every year, I suppose you could merge groups of layers and just have the seven vertical strips and the horizontal row of day names. Then you could only change the font for the MONTH each year and leave the day strips the same. That would be faster and easier. What *I* did with them? I printed them two to an A4 sheet of cardstock, then trimmed them to fit a CD case. 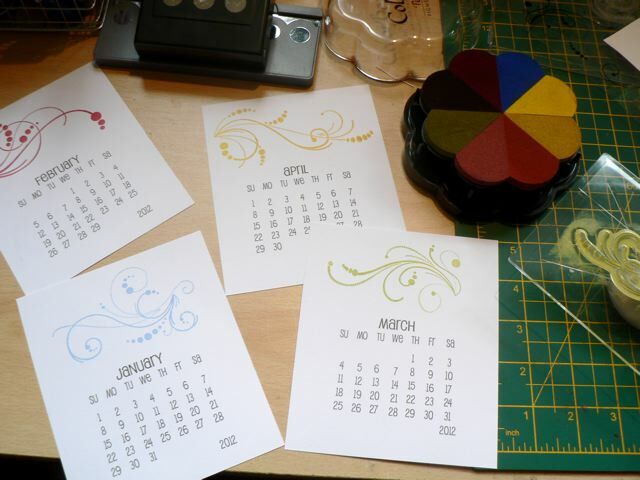 I stamped a pretty swirl in different colours at the top of each month and that will be my desk calendar for 2012. Simple, pretty and not as labour intensive as you might think from all the text. Once you create the strips, the rest of it goes pretty fast. I know this is crazy long and would benefit from lots more photos but I just didn’t capture the info as I was working thru it. I may take the time to do a PDF with Photoshop screen shots but honestly? I am just not sure there are enough people out there who would actually DO THIS to make it worth while. If if they WOULD do it, they probably have a better way. But maybe there is something in here that will make whatever your process is a bit easier. And because I may forget what I did in a year, it helps me to document it. If you read this whole thing? I applaud you! Categories: calendars, tutorial | Tags: calendars, how-to | Permalink. I stumbles across this website, as you do, and found a lot on interesting goodies. Not much is free but that doesn’t bother me. I am always willing to pay for quality items. Don’t get me wrong, I love a freebie, I do, but if I love something I’m not going to let the fact it costs stop me. But the link goes to a page for making, with some cute tutorials/ideas. What a simple idea to turn a round cupcake holder into a square one? And how cute is this little framed piece with its origami Hawaiian shirt banner? completely adorable. I really like how the tag is resting on the straight pins – I’m sure it must be stuck along the bottom edge at the back as well, but it looks very sweet with that tiny added detail, don’tcha think? And because it’s getting to be that time of year, an adorable, easy and frugal scrap-o-felt tree. 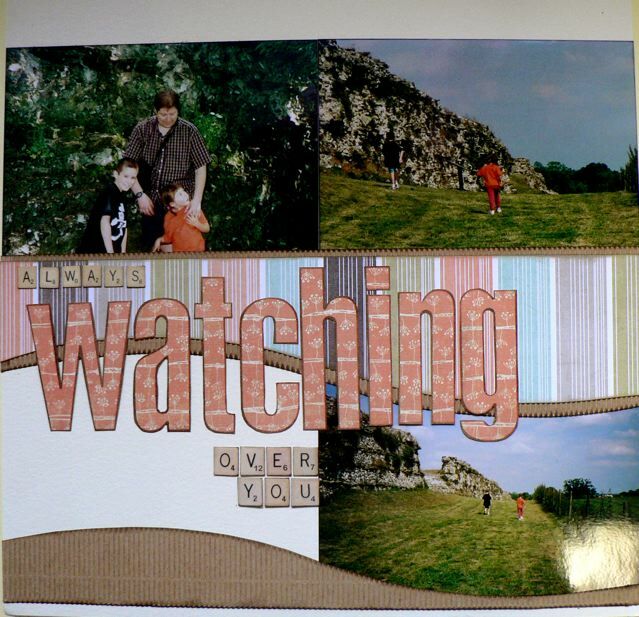 Categories: Sunday someplace else | Tags: scrapbooking | Permalink. It’s been a while since I’ve done a set of printables (mostly due to the colour issues I was having) but this is a set I started working on a while back then dropped. I always intended to finish them off and now I have! Hard to see because of the shadow, but the green one is just that little bit out of whack! 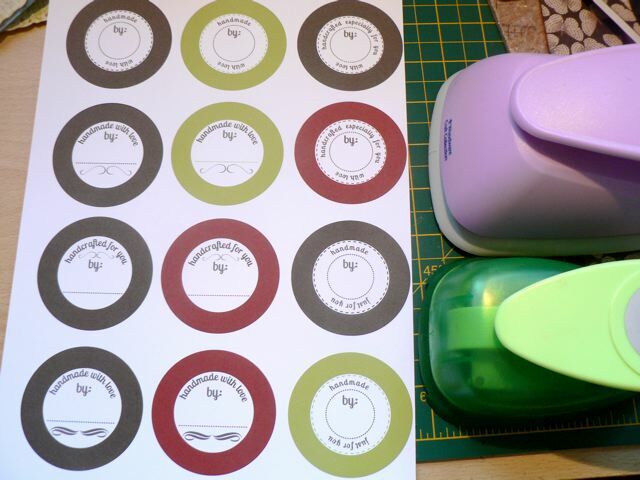 And for those who want a slightly bigger circle, the wide border also allows you to use the Standard Circles Large (4th one up from the centre) or the Standard Circles Small (also 4th one up from the centre) or perhaps even smaller ones, if you want just the centre bit for, say, the back of a card. You can see I tape them in position just to make sure they don’t shift while I am cutting them. But then I thought What about a grid? 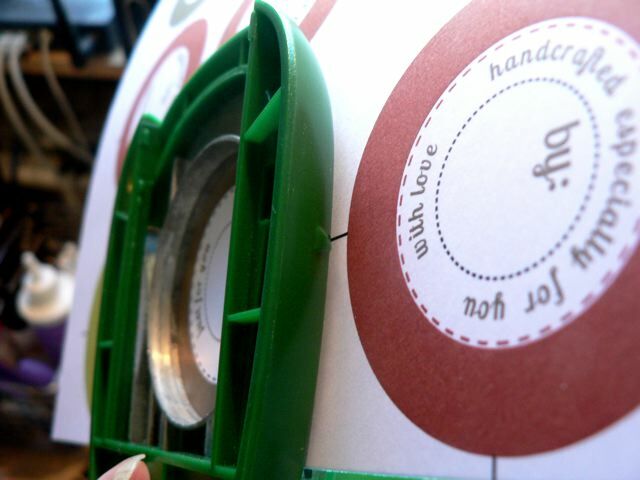 So I added the centred grid lines, behind the circles so they don’t interfere with the printing. 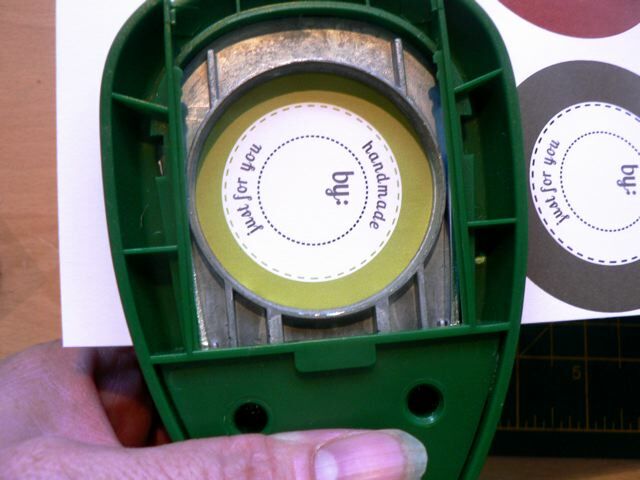 As you can see, if you line up the 1/2 way mark that would be on the punch, you can get a better centred punch-out! Oops. The angle makes that look like it’s not centred (and I was holding it with one hand, the camera with the other) but it was. I thought I would delve into geometry a bit, and mark all my punches and Nesties to find the bisecting lines, which will make punching a lot more precise. I think my grid mat will help with this, and just a small Sharpie mark. Of course if you don’t care, or your eye is good enough that you can place the close enough to make you happy, you can simply ignore the grid lines totally. Uses? 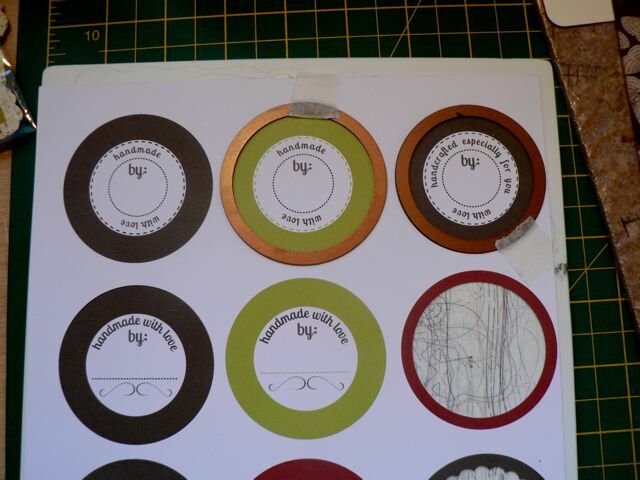 Well, they work for the back of cards, obviously, but if you punch a small circle in the border you could easily tie them to a gift package. I’ve done them in a rich dark brown and in Christmas-y colours. Not a bit fan of the BRIGHT red and green so mine are a bit toned down. But you should be able to alter the colours if you like using PSE or some similar program. Hope they will be useful. Grab them by clicking here to download the PDF. I tried testing them out printed on a US Letter size paper and it seems to work OK although the border will be wider side-to-side and shorter top to bottom. 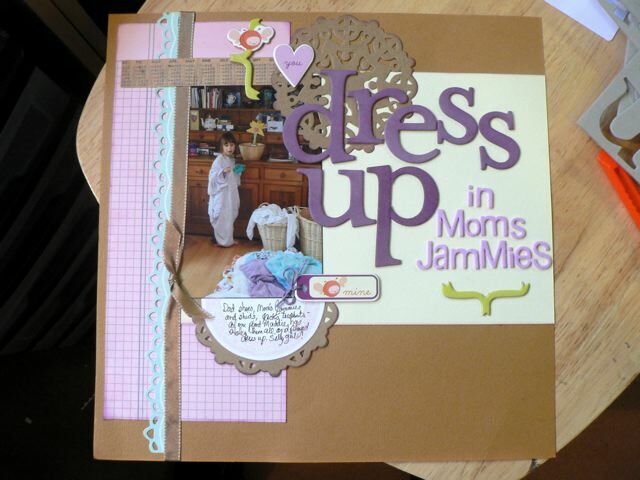 Categories: digital goodies, downloads, printables, scrap related | Tags: printables | Permalink. I got an email last week for something called My Craft Channel. I ignored it, as I do much of what I get, assuming it was just another spam email. Mistake. 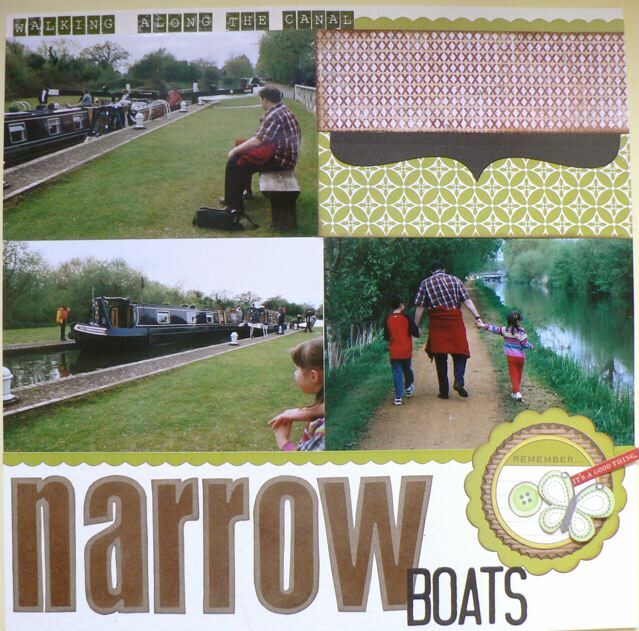 At the crop on Saturday, long-time UKS member Chris was working on a little mini book and mentioned she had seen the video on MCC and the project was by Heidi Swapp. I had to have a look. 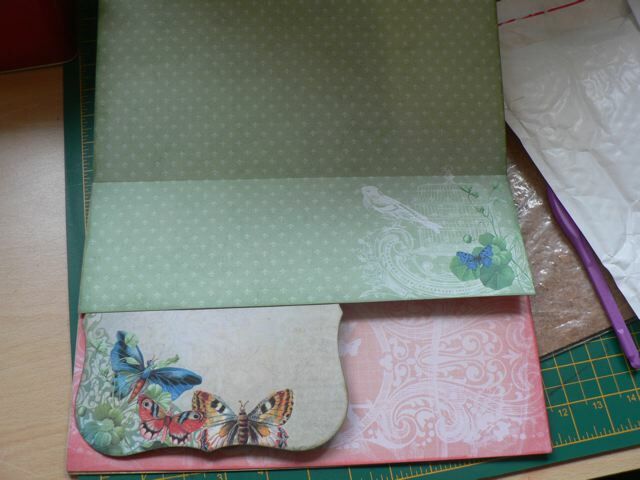 Now, I’ve done what she calls “back-to-back” binding, you may recall, a while back, making a teeny tiny mini with a square scallop punch but it just never occurred to me to do the same technique on larger pages! 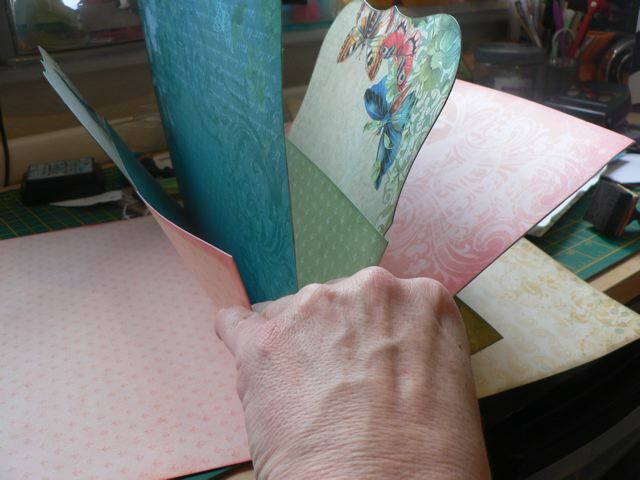 So, what’s on my workdesk is a set of the Grand Nesties, a bargain pack of colourful paper (£2.50!) and a few bits and bobs so I can give a bigger one a go. Apparently Tricia Morris from Club Scrap does videos for this new channel – is it a rebirth of CraftTVweekly.com? They still have a handful of videos available, and I review them occasionally, because some of them were really good. I hope this new venture grows, cause you can never have too much inspiration! And another bit of good news – my dead power brick for my Cricut is just out of the shot. I’ve been trying to find a replacement with no success. WELL. I phoned the Provcraft International helpline (which seems to be in Utah but I didn’t get the little message so I think it was still free) and followed that up with an email. And guess what! They are sending me a replacement (for my 5+ years old Cricut) FREE by Fed Ex. Blimey. RESULT! I saw a few on eBay but didn’t fancy spending almost £20 and having it shipped from the USA (shipping extra? I forget but I think it was) so the most I was hoping for was a pointer to a UK shop that sold replacement parts, or a pointer to a suitable substitute. Last thing I expected was a freebie on it’s way to me. I was totally doing the happy dance when I read the email. Well done Provo Craft – they have taken a lot of heat over the SCAL/MTC situation, and this has restored my faith a little. I’m impressed with the customer service. She also PMed me with a link to Scrap Revolution, a UKS sponsor who had it and had a free shipping code on UKS to celebrate their new-look website. I snagged it! 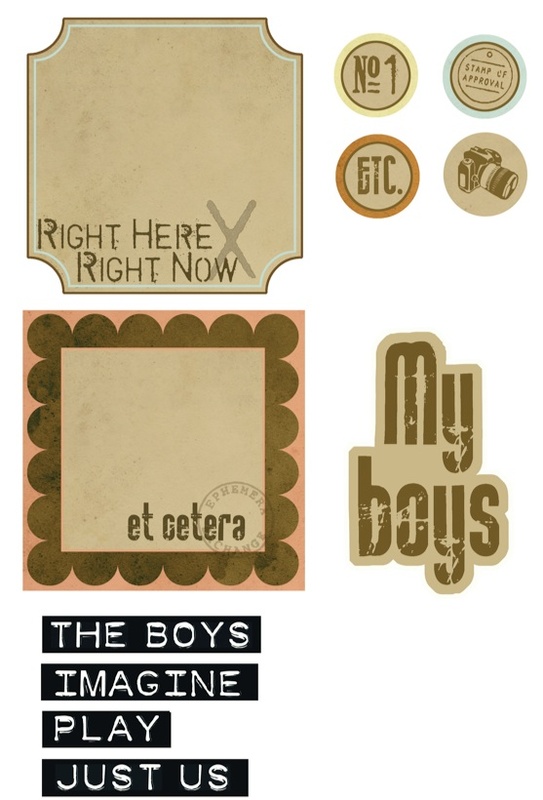 Good thing as it is now out of stock there and at PaperMaze – Sarah’s Cards had it too but not sure if they still do. I have to admit I looked at a few of the EK edgers on their site and I like the look of a lot of them. Maybe it’ll arrive today and factor in to the back to back book rather than the Nesties….. Enough blathering. Time to get desk hopping. When you pop in to Julia’s place for WOYWW, wave to her from me! Then, because I was too lazy to unpack my crop bag between Saturday Crops, I found them still in there this past Saturday and since I forgot to add other letters for this layout, I decided to use them again, this time using the solid letter part and smudging Walnut Stain (sure about that this time) around the outside and on patterned paper, then cutting with a very fine border. 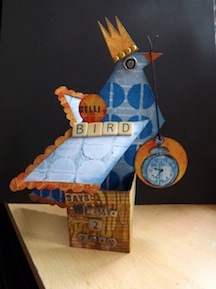 Not done with this one yet – not really embellished at all, just the photo placement and the basic background, but I love how the title fills the space. I am a sucker for BIG TEXT. And blimey – those Scrabble letters…they must be 10 years old. Anyway, I doubt I would have sat down and said to myself “Now where are those HS letter masks?” but stumbling on them was a real bonus. I had forgotten how the tall, thinnish letters allow quite a long word to fit across a 12 inch page. And how versatile the masks are: you can smudge ink, paint, mist, stamp, whatever you like thru the empty letters, and use the solid letters to do the same around the outside edge or use them as a shape to trace around. The self-mat, almost, depending if you smudge/paint/mist just inside the empty letters or if you lett the medium go outside the border as well. It just goes to show you that old supplies are not really BAD supplies. I feel quite virtuous when I use something I paid good money for but that fell out of fashion (or at least fell ut of the public eye) at some point. But I don’t think something like this, a classic simple font, should really ever go completely out of fashion. It’s all a matter of using it in a new way. KWIM? I would love to have more fonts. 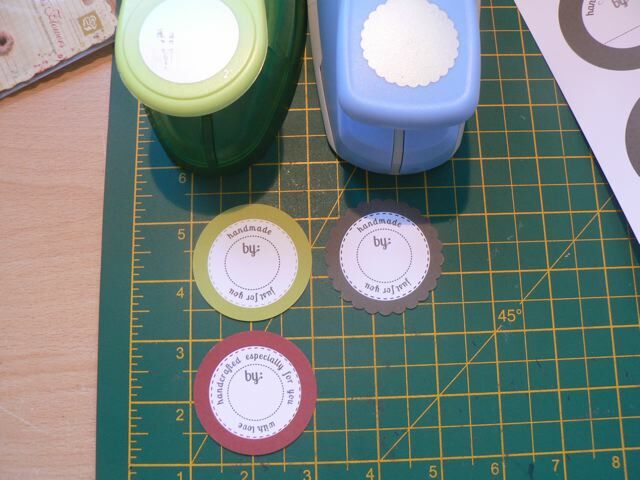 and don’t even mind hand cutting them, I had forgotten how restful it is to just sit and snip. I wonder what else I’ll unearth as I carry on with my much needed filing of piles of stuff dragged out over the last 6 months or so. Something wonderful, I hope! 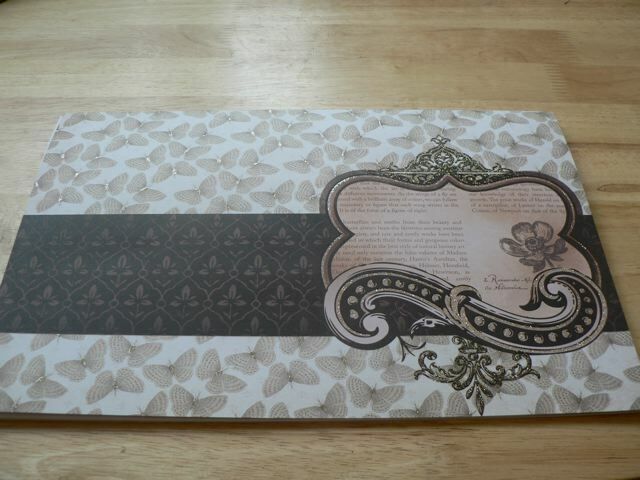 Categories: Layouts, musings, New from Old, scrap related | Tags: Layouts, scrapbooking | Permalink. Arrgghh! we all moan and moan when out mojo goes walkabout, but I have a different problem. I got mojo. I got plenty of mojo. Loads of ideas, time I can use to work on them, but somehow, everything I try today seems to not work out like I expect it should. 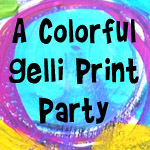 I have been working on some printables for the winner of the challenge I did for Shim’s event. All well and good – I emailed her, told her I would be happy to try to sort something that she wanted, as opposed to sending her something that I had prepared. We chatted. I had a plan. I carried that through, and it was all fine till the printing. Now, I don’t know if it is equal parts the problem I had with my monitor calibration, and the fact I tried out the “compatible” inks for my printer for the first time, but I recall thinking when visiting layouts people made from my printables for the challenge that some of them looked…odd. The colours were not as I made them. Mine, when printed, looked exactly like what I was seeing on the screen. Having said that, it was Intaglio I was using. These I made in PSE, because while Intaglio is fab for plain blocks of colour, it just doesn’t work for the distressed sort of papers I wanted to match her ideas. Just not the same at ALL. And I have no idea why or how to sort it. Then, I was at the grocery store and had an idea. I thought it would be kinda fab. I bought the thing I was thinking of (thankfully just £1) and came home, all set to make something cool. And…well, it just didn’t work out like I saw in my head. I’m not giving up on it yet, but I am frustrated. Especially because all those boxes are sitting accusingly on my desk, still unfinished, and I have another crop tomorrow that I really, really need to prepare and pack for. One bright spot is I wanted to do a layout of one of DDs regular You Tube pages. She loves watching videos from this woman, and I thought I would like to do a page documenting it. I did a screen grab of the YT channel and printed it along with a photo of DD and that worked out perfectly, the colour just fine. So it’s not all doom and gloom but it is trying my patience at the moment. Hope your day is gong better! 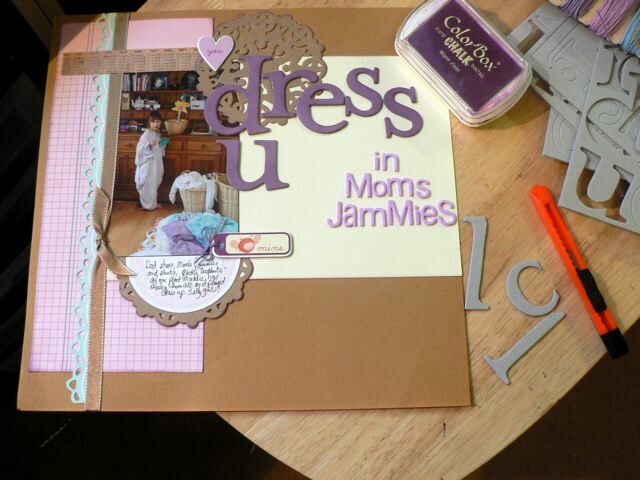 Categories: digital goodies, musings, scrap related, technology and scrapping | Tags: printables, scrapbooking, technology & scrapping | Permalink.